There are no secrets in learning. No one in the martial arts possesses supernatural powers. It is time to separate myth from fact, legend from truth and movies from reality. The secret to learning anything is quite simple. Stick with it. There are no Italians who cannot speak Italian and even little Russian children can speak Russian fluently. Why? because they stick to it, day after day. I have trained for years, many years. Gradually I noticed that things became easier for me, people began referring to me as a "natural athlete", or "gifted", nothing could be further from the truth. I just worked at it, for a long time. I recall once on the train someone asked me some questions about punching. I felt I had not much to offer. But an hour later I was still discoursing and then it occurred to me; over the years I have indeed picked up a great deal of knowledge. You stick around long enough you learn a thing or two. Over the years I began to notice subtle points that made the techniques much more efficient. How did this happen? Simply by trial and error, simply by doing the same thing again and again. The simple secret is if you do something long enough you will become an expert at it, or at least very good. But today people want simple solutions. And if they don't master something right away, they give up. They never really tried, they never gave it a chance. I hear people complain that they are incapable of learning something, but then you look at them and there is always an excuse. You are taking martial arts classes, great, but how often do you train? It is easy to fool ourselves. "I train twice a week, well, except for last week when I was not feeling well, and two weeks ago when my friend was in town, and next week I have a lot to do, but otherwise..."
And they wonder why they cannot seem to make any progress. There is a new App, it is called a calendar. It is a piece of paper with dates on it. 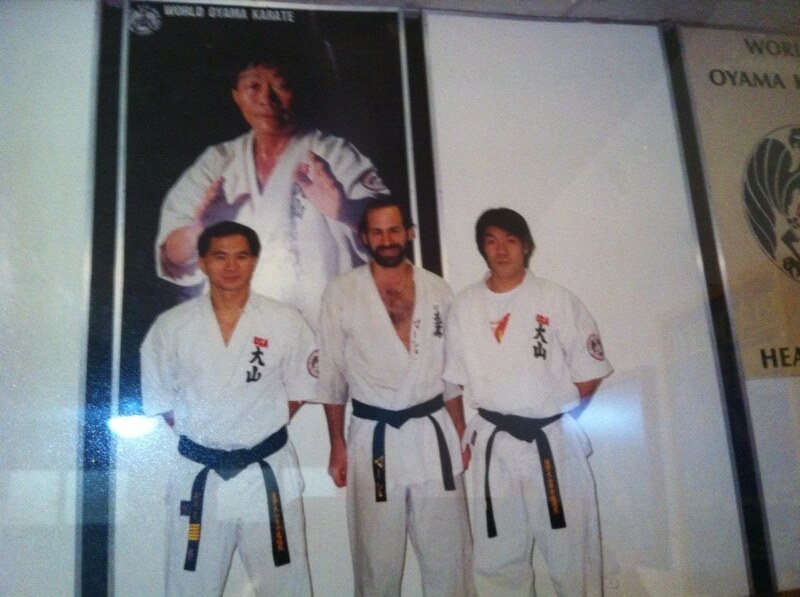 Years ago when I was a student at the Oyama dojo in New York City I kept such a piece of paper, one per month. I had a system, very hi tech. Each time I attended a karate class I would make a line on that date. Sometimes I would have 3 lines on one date as I would attend the 7:15 am class before work, and then the 6 pm class and 7 pm class after work. Thus I was able to be honest with myself. Instead of saying, "I attend on a regular basis", I actually knew, with my system, exactly how many lessons I attended. I was amazed that often I did not attend as many lessons as I had thought. Our mind tends to exaggerate. We remember things differently than how they actually happened. And yet I did maintain an average of at least five lesson per week. As time went on I improved. When I had first come in to watch a class I was overwhelmed by the speed, power and finesse of the karate students. They were younger than me, and more muscular and fit. And then I recall the day that Grand Master, Saiko Shihan Shegeru Oyama shook my hand and said, "You good fighter!". That was a proud moment. A result of my dedication. My secret? Stick with it. That's it, now you know the secret to success. Moshe Katz back in the Oyama days with friends Sempais Sakai and Terrao. Of course there are more efficient methods of learning and less efficient methods of learning, i.e. the ones used in most schools. The problem with most teaching methods is they bore the students to death and only serve to increase the drop out rate. What can we do to improve learning? Attend Seminars - Increases motivation, puts fresh blood into us, recharges the battery. Never stop learning - Understand that learning is never complete. If we are alive we must remain students, for life. I never want to hear "got it". We live - we learn. Keep it real and keep it exciting - Make sure the learning is related to the goal. If you are learning a language, then use it in the way you want. Carry on conversations about the topics you will be dealing with. If you are learning martial arts, keep it related to your goals: Self defense, or sport, tournaments etc. Stay Natural - Use drills that use motions and patterns that are natural to us, not forced upon us. Learning to fight like a tiger takes longer than learning to fight as a human being. This is how we are built. Remember your goals - Most importantly remember why you first started. Keep your goal in mind while focusing on the process. If you never forget your goal you will never stop learning. And as long as you stick with it you will improve. Guaranteed. And that is one of the very few guarantees we have in life.